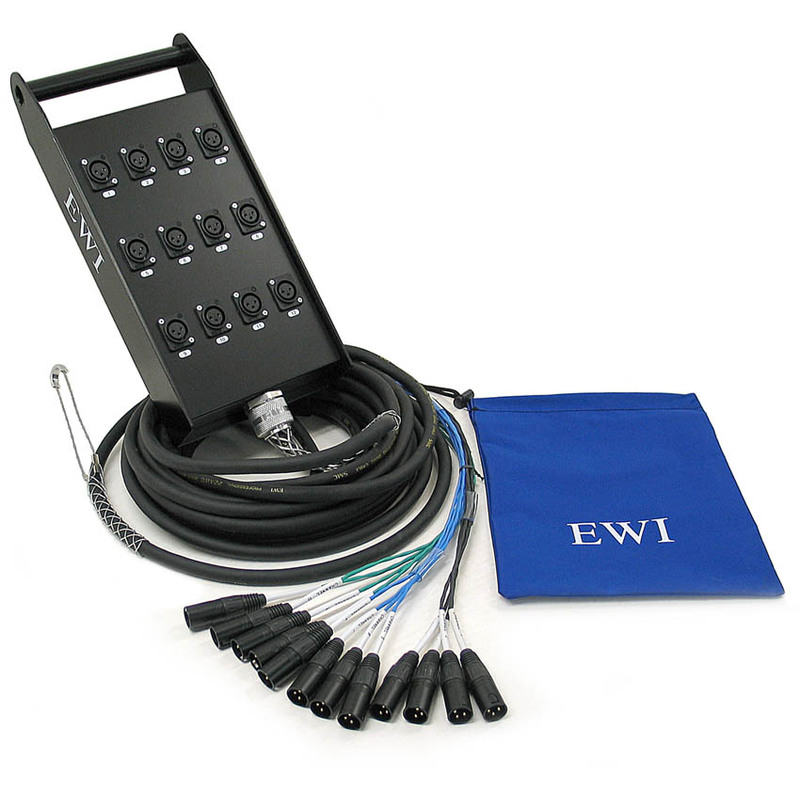 The EWI PSX-12 series snake could be classified as a sub-snake or a drop-snake because of the 12 channel construction since these are commonly used as a cross stage run snake tied into the main snake avoiding a mess of individual mic cables across the stage. 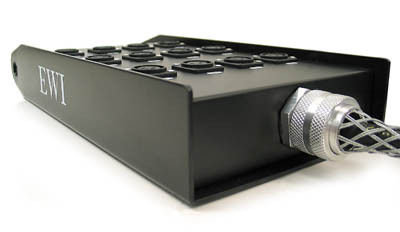 Both the fantail and stage box are all XLR. This is strictly a send snake, as there are no return lines. The stage box is very heavy duty and well labeled. 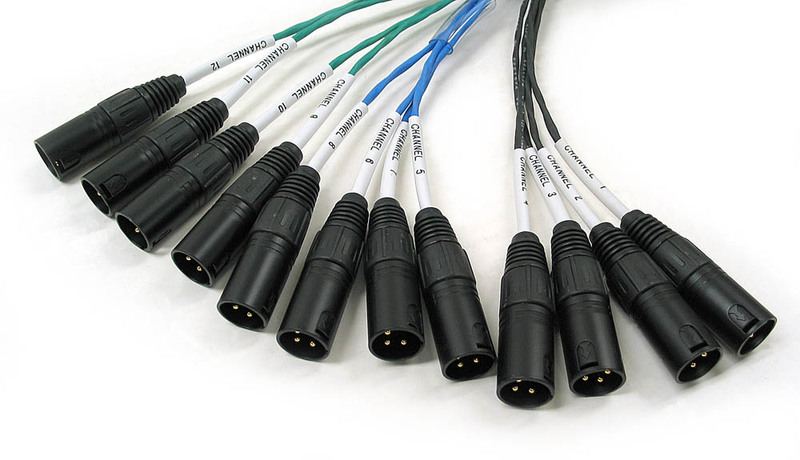 The fantail is also heavy duty, color coded to groups and very well labeled. 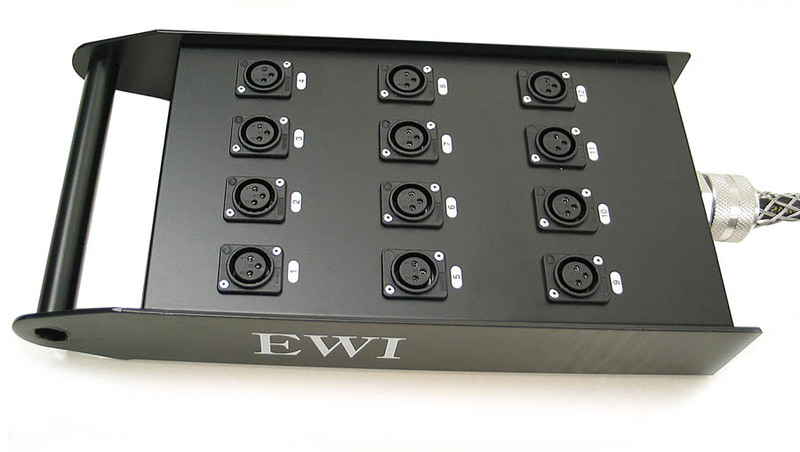 The main trunk is constructed with EWI SMC cable which is 12 individual shielded pairs, 22 ga., high copper purity conductors with double aluminum foil shield and trace wire, which is heavy duty, and very flexible. 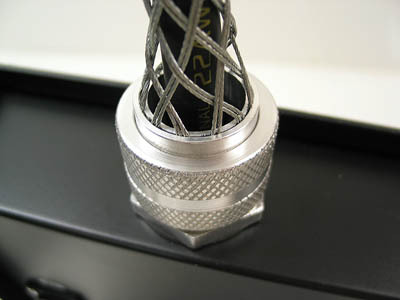 The panel jacks are the buttonless "spring loaded" style with composite (non metallic) bodies. 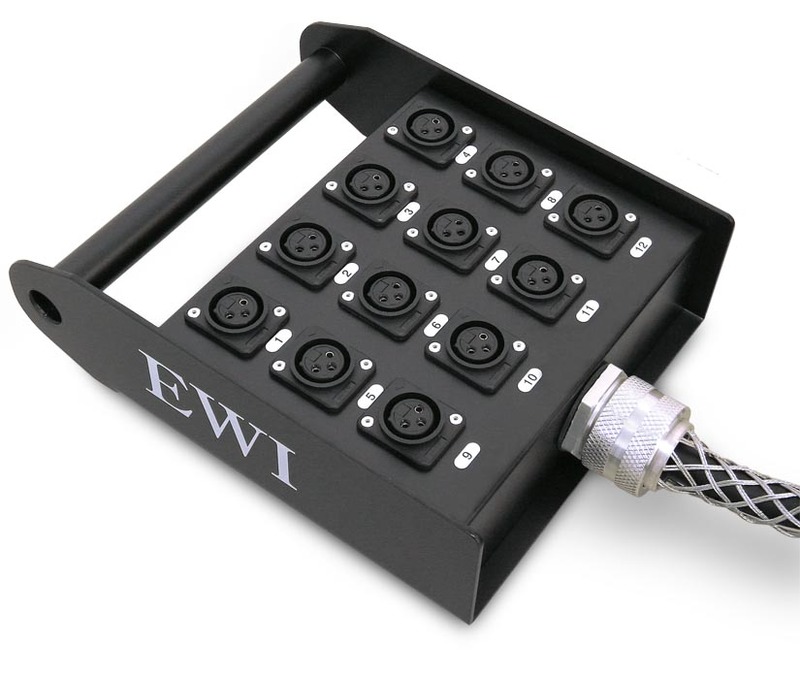 The fantail is constructed with EWI ES3MB-GDP black shell with gold contact point MXLR connectors. PSX-12-20: 20 ft, 15 lbs. PSX-12-30: 30 ft, 17 lbs. PSX-12-50: 50 ft, 20 lbs. PSX-12-75: 75 ft, 23 lbs. PSX-12-100: 100 ft, 27 lbs. PSX-12-150: 150 ft, 35 lbs. PSX-12-30-N: 30 ft, 17 lbs. 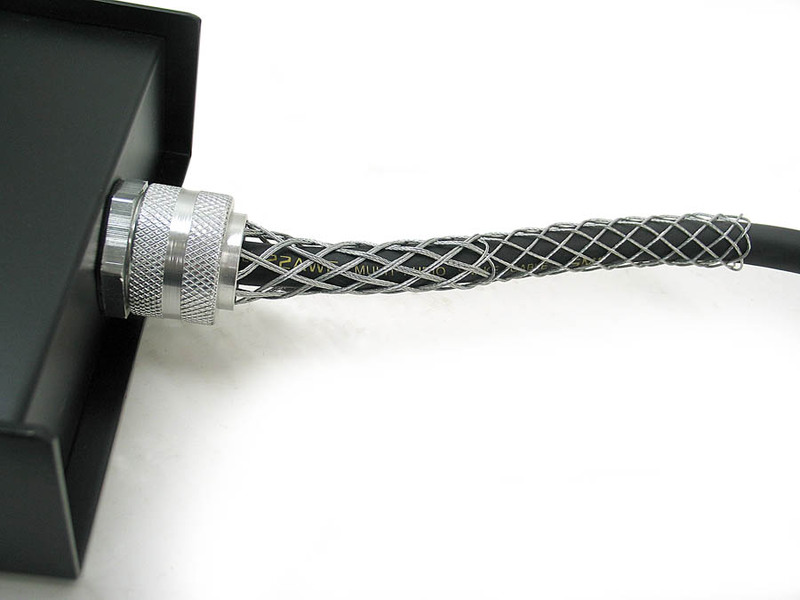 PSX-12-50-N: 50 ft, 20 lbs.